For a while, I did freelance consultant work through Eemi Haukkala’s company. This was a fixed-term arrangement (originally 6 months, but we extended it twice). 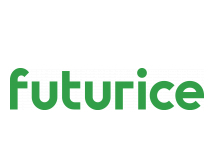 Futurice is a consultancy with strong software development (mobile, web, enterprise), UX and design expertise. It's headquartered in Helsinki, Finland, with offices in Germany, UK and Sweden. At Futurice I worked on various consumer-facing services for customers in Finland, UK and Germany. My main focus was in backend and Android development, but I also did frontend development and CI consulting when necessary. I joined Pandia—a small Finnish company building financial planning, reporting and simulation SaaS tools—with the personal goals of creating a top-notch continuous delivery system, participating in building new products & improving existing ones, and in general adding momentum and experience to the R&D team. On technology front, we used Java EE, Spring and Hibernate (with annotations and minimal XML config), with Wicket for the main UI, and Spring and Gson for some simple webservices. MySQL was used for production while in-memory HSQL helped simplify integration/UI testing and test deployments. I did some work on a legacy Spring/Struts 1 codebase too. Additionally, I worked with R&D infra. This included Linux administration (maintaining Jenkins, Subversion, Confluence and other tools); greatly expanding the use of Jenkins; moving some build and demo servers to Amazon EC2; helping switch to temp-branch-per-feature (stable trunk) style version control, etc. Freelance work as an external consultant (Codento Certified Partner): software development; Java EE and web stuff; infra, tooling & deployment setup; agile processes. Java web development using Wicket. This was my first proper encounter with Wicket, and the experience was mostly very refreshing: you end up with clean HTML and clean Java! We used Hibernate for persistence and Spring to wire things up, and while I wasn't the one who initially set those up, I was solely responsible for the backend during the last ⅔ of the project. I took care of setting up and administering our servers (Ubuntu) and databases (PostgreSQL; also in-memory HSQL for testing). Interestingly, we used Amazon Web Services for almost all infra needs. Despite some initial doubts, this worked great, and didn't cause much overhead. And certain things definitely got easier; e.g. duplicating our build machine (with Hudson & Tomcat setup) to create a separate (slightly differently configured) demo server was a snap on AWS. I needed to brush up my Python to modify a pre-existing dependency of our application. Additionally, I wrote small Python scripts for things like verifying that certain services are up (automated with Hudson), and resetting a specified demo account (the script executing SQL deletes and updates was triggered by a parameterised Hudson job). I was part of ~10-person developer team building and improving the Efecte platform and products built on top of that (tools for managing IT operations/asset/services). The team was great and we worked very collaboratively – no technical problem seemed too hard when we tackled it together. The platform originates from early 2000s. The breakthrough idea was an "adaptive object model" with which extensive customer-specific customisations were possible without changes to the code or database schema. This provided the opportunity to 1) do a very quick rollout of a customised solution (e.g. service desk or IT contract management system) for most customers 2) extremely painless updates compared to many competing products (e.g. BMC Remedy) with which a version upgrade may take months due to need to update custom code too. I participated in initial work on next-generation cloud-based service management products. Buzzwords: SaaS, Amazon Web Services (AWS), JBoss, Seam, JSF, RichFaces. This was my first programming job, a part-time position, working a couple of days a week while studying at the university. I mean, the team didn't even use version control (just shared folders on a network drive). In my first project, the whole personnel changed (both original guys were leaving for China as exchange students), and they started transferring knowledge to us taking over on their last day at office. Ultimately the whole thing never went to use, even though many person-months (albeit just students working part-time) had been invested in it. Fortunately, I did get to do stuff that was actually useful to customers, too. These were mainly smallish upgrades or fixes to a variety of in-production systems which I did independently or in a team of two people. (As an example, I added a feature in an ad material ordering system in use at a large Finnish banking group.) Often I needed to familiarise myself with rather cryptic legacy stuff; not always great fun, but educational. :-) One "feature add" project I felt pretty good about was a reporting system for Finnish chemical industry; using PHP we pulled numerical data out of a big database and showed it graphically in neat bar charts. I got together my Bachelor's degree from the University of Helsinki in Spring 2006. I majored in computer science and studied mathematics, musicology and Spanish language as minor subjects. How can I diff two different text files without considering line order? Is the term "hack" more positive or more negative? Refactor before or after ship? The seminal refactoring book. Besides the catalogue of refactorings, the opening chapters contain some of the wisest things written on software development. Refactoring (noun) : a change made to the internal structure of software to make it easier to understand and cheaper to modify without changing the observable behavior of the software. As far as editors go, I must admit that despite being a Linux user since 1998, I've never properly learned Emacs nor Vi. Besides my trusty IntelliJ IDEA, I usually use NEdit or JEdit in X, or uEmacs or nano on the command line. Outside of all this computer stuff, I'm widely interested in music, literature, travel (backpacking), languages, and other things. I do lots of sports and exercise too (e.g. floorball, gym, bicycling, and ultimate frisbee). Most importantly, languages come to me naturally and I'm quick to learn them. Just for fun, and because I believe this sort of thing matters, I'll mention some of the books that have been the most inspiring and influential for me professionally. I hope you, as a potential employer, recognise and appreciate at least some of those. I am an EU (Finnish) citizen so, to my understanding, relocating to work in another EU country would be easy. Written 210 answers. Active in android, android-intent, collections, continuous-integration, java and 22 other tags.